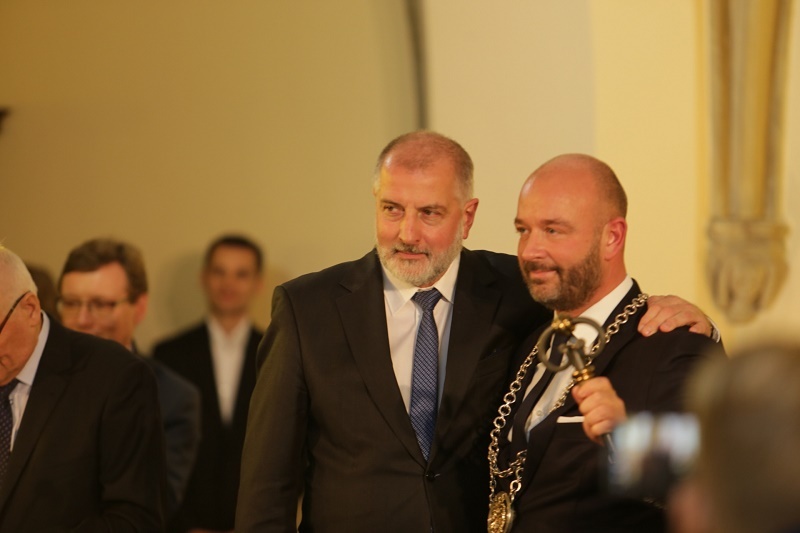 After 16 years, there was a change in the position of Mayor inWroclaw– Rafał Dutkiewicz was succeeded by Jacek Sutryk, previously the director of the Social Affairs Department of the Wroclaw City Office. In the local government election in October, Jacek Sutryk won 50.2% of votes (129,669,000) and was elected new mayor of Wroclawalready in the first round. He will start his 5-year term officially on Monday 19th November, after taking a formal oath during the 1st session of the new Wroclaw City Council. Jacek Zbigniew Sutryk (born 17th September1978 inWroclaw) – a sociologist by education, the director of the Social Affairs Department of the Wroclaw City Office, the mayor ofWroclaw since November 2018. Jacek Sutryk was born at Tarnogaj inWroclaw. He attended the Wincenty Pol Primary School No. 9 at ul. Nyska and the Social General Secondary School No. 1 at ul. Długa. He is a graduate in sociology at the Faculty of Social Sciences of theUniversityofWroclawand a doctoral student of the Collegium of Socio-Economic Policy of the Warsaw School of Economics and a lecturer at theJanuszKorczakPedagogicalUniversityinWarsaw.Wroclawis not only his birthplace – it is also the home city of his parents and grandparents. ‘Wroclawhas shaped me and I carry it within me. I couldn’t live anywhere else. It’s my place. I know the oldWroclawfrom my grandma’s memories. I still remember the city from the times of my childhood and then youth. Today I’m proud and delighted to see the beauty of our modernWroclaw,’ says Jacek Sutryk. He is an avid social activist and local government member. He has always engaged in social activities: he was the chairman of the Council of Social Welfare, the director of the Working Community of Unions of Social Organisations in Warsaw – a NGO comprising over 800 social organisations from around Poland, the vice-president of the Polish National Association of Directors of Local Government Social Welfare Centres, a member of the Management Board of the Polish National Federation of Non-Governmental Organisations, a co-organiser of local and international conferences on social policy. He co-operates with social organisations from aroundPoland. He prefers active leisure: he likes playing tennis, jogging and cycling. He is a fan of theWroclawspeedway team andWroclawfemale volleyball and basketball teams. His favourite writer is Katarzyna Bonda. In the years 2007-2011, he was the director of the Municipal Social Welfare Centre inWroclaw. He subsequently used his experience and gained knowledge in the Wroclaw City Office, where he was the director of the Social Affairs Department from 2011. He was responsible for co-operation with non-governmental organisations, health, social welfare, social participation, sport and leisure, or culture. In 2015, he participated in the creation of the Bureau for Social Participation in the City Office, which allows civil servants and authorities ofWroclawto be closer to its inhabitants. One of the major projects of the OSP is the Wroclaw Citizens’ Budget, the funds of which have been increased from 3 to 25 million PLN over the last 4 years. As director of the Social Affairs Department of the Wroclaw City Office, Jacek Sutryk always put strong emphasis on the development of Wroclawhousing estates and close co-operation with councils of housing estates. In November 2017, the 1st Wroclaw Congress of Housing Estate Councils took place in the Centennial Hall, and 80 events were held onWroclaw housing estates under the Leisure Fund from May till September 2018. 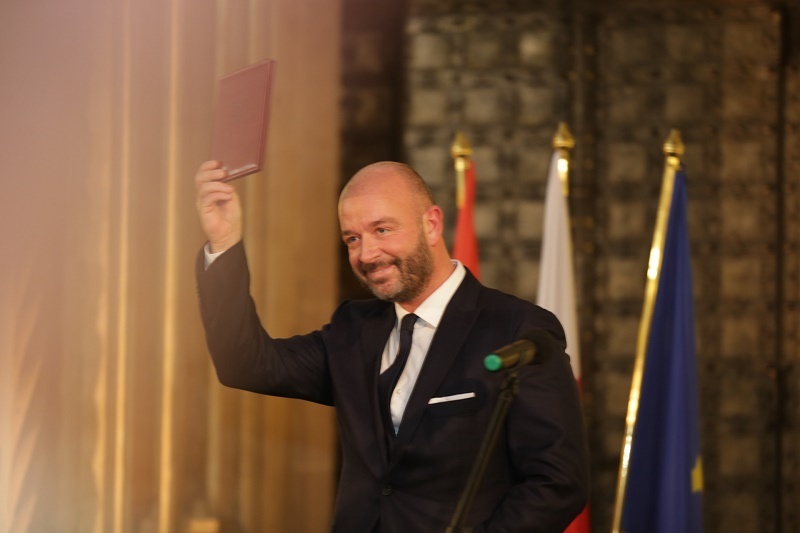 ‘I would like to thank once more all Wroclaw inhabitants from the bottom of my heart – for conversations, for the time spent together and for consultations on the program that we turn into the strategy of our city from now on,’ said Jacek Sutryk in his speech. He also stressed that, along with the City Council, he was taking over responsibility for all inhabitants – both for those who had voted for him and for those who had voted for other candidates. ‘I pass my congratulations to all who won seats, and I look with respect at those who did not succeed this time. I invite everyone to build the excellence of the city,’ stressed Jacek Sutryk, referring both to the oldest and youngest citizens, as well asWroclaw“small brothers” – animals, who need our help. ‘I believe that the good of inhabitants will be our greatest value,’ said the new mayor. ‘We must do together whatWroclawinhabitants expect,’ he added, addressing supporters of various groups and circles that had not voted for him in the election. ‘My party isWroclaw– I have no other and I’m not looking for one. Now public service is the most important thing to me. I believe thatWroclawabove divisions is our common cause. Let’s get down to work,’ concluded Mayor Jacek Sutryk.